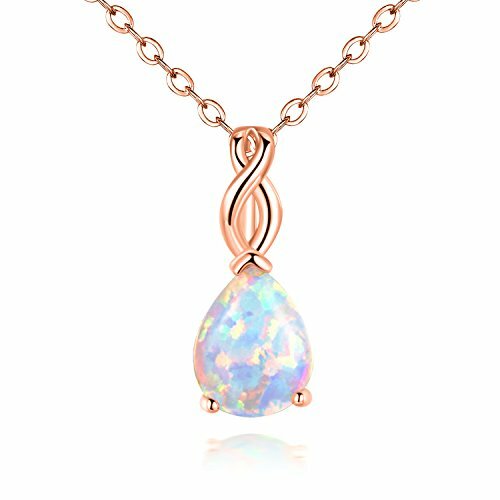 Rose gold plated pear white opal pendant necklace for women. Shine is its light,Charming is your grace. 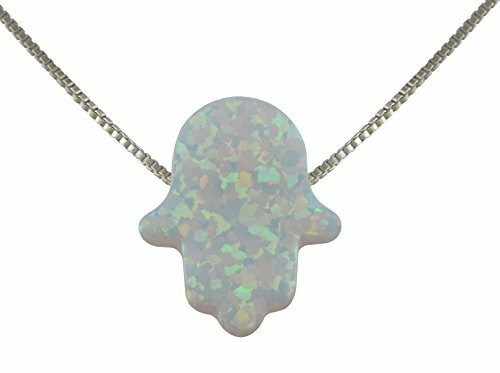 *ABOUT US：OPALTOP is a fashion jewelry brand for providing High Quality Jewelry With Favorable Price.Opal is our favorite gemstone,it is also believe to bring beauty and happiness to the wearer. We are specialized in women fashion jewelry,such as Earrings,Ring,Necklace,Bracelet,Brooch,etc. We always strive for excellence in quality and perfect after-service for the purpose *PRODUCT:Our jewelry were handmade by our employees,who has more than 10 years experience of jewelry.The materials of our products are friendly environment,the plating is lead free and nickle free. *MAINTANCE:Jewelry proper care is an important part of keeping your jewelry brightest,maintain its original brilliance and shine. Be sure not to wear your jewelry while cleaning or working with harsh chemicals, in pools or spas, or while playing sports. Store your jewelry individually to keep them from scratching each other.Clean with warm-to-hot water and soft brush after rinsing. *AFTER SERVIVE:If you have any problems or suggestion,please feel free to contact us，or you could post it in the part of "Customer Question & Answers"below the page,we will be glad to solve all problems for you.Have a good time! ★Absolutely Classic!! !★ Jiangyue Jewelry is selling fashion jewelry store, all the products enjoy an exquisite craftwork as well as the stylish design. We are not expensive but very trendy and fashionable. 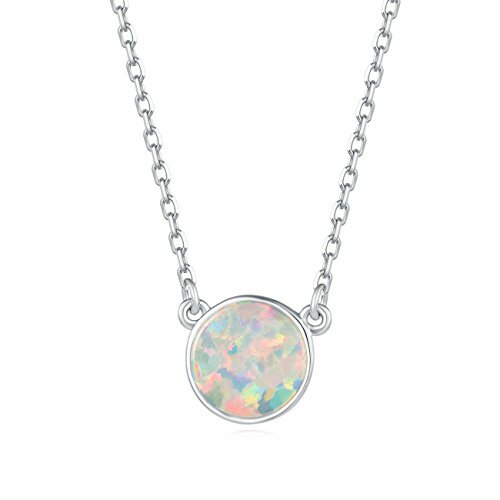 Material:Main Stone is White Fire Created Opal.Plated with Rose Gold. Each stone is hand set by artisans who have a minimum of three years of experience.100% High Quality. 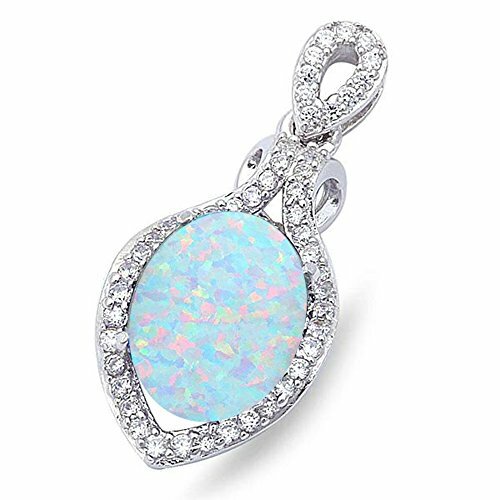 Pendant Width:0.5-1 inch.Length:1.1 inch.Stone Width:0.3 inch. Chain Length:17.7+1.97 inch. Occasions:Wedding,Engagement,Party,Events,Anniversary day ,Valentine's Day,Mother 's Day,Birthday,Christmas Day Warm tips: ♥1.Please avoid contacting with the acid and alkali, corrosive substances. ♥2.Please avoid the collision, so as to avoid surface scratches. ♥3.Please avoid wearing it when sweating a lot, shower or sleep, etc. ♥4.Please wipe them with soft cloth when you clean your ring. You can also find other more beautiful jewelry in our store : Earrings, Necklaces, Brooches, Bracelets, Bangles, Jewelry sets etc. Welcome! 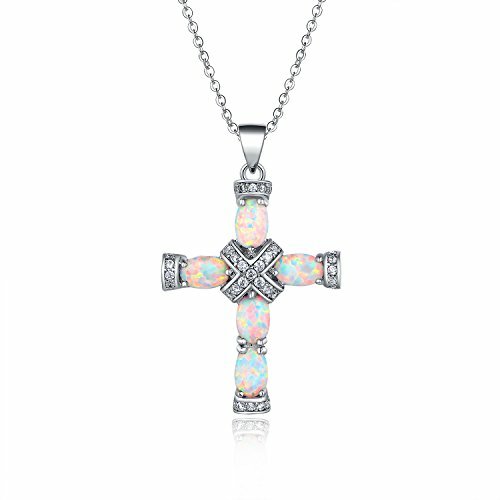 This unique pendant has oval shape created fire Opals that form a Cross Pendant with Cubic Zirconias. 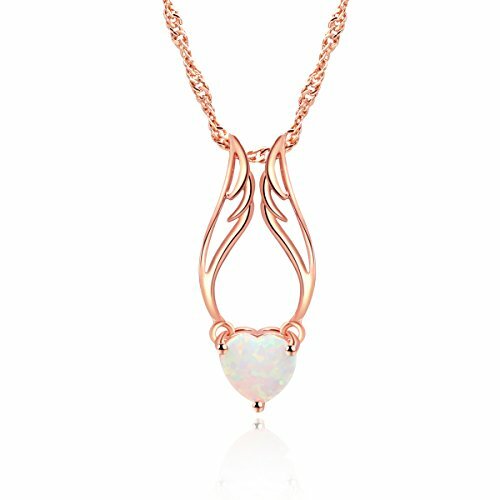 Plated in rose gold this pendant will bring shine and glory throuout your day. 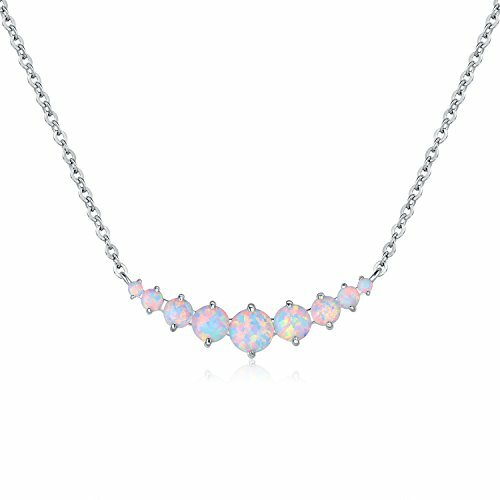 Diamond Accent Amethyst and Created White Opal Sterling Silver Triple Heart Necklace, 18"
For More Information or to Buy: https://qvc.co/2qkZD7h This previously recorded video may not represent current pricing and availability. 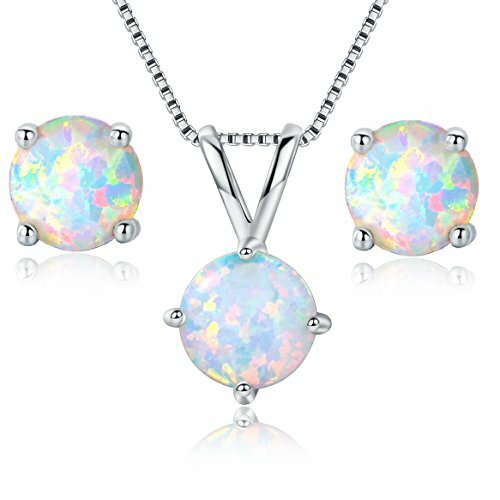 Want more White Fire Opal Pendant similar ideas? Try to explore these searches: Classic Ham Slicer, Butterfly Meadow Platter, and Lauren Conrad Collection.